Nearly a couple of months after announcing that it would split into two different businesses, HP has published its fourth quarter financial results, which were mostly in line with market expectations, indicating that the company still has a lot more work ahead. The computer giant announced earnings of $1.06 per share on revenue of $28.4 billion, compared to the year-ago period's earnings of $1.01 per share on sales of $29.1 billion. Wall Street expected the company to report earnings of $1.06 per share on revenue of $28.76 billion. For fiscal 2014, HP reported net earnings of $5 billion, down 2 percent year-on-year, and revenue of $111.5 billion, down 1 percent. "I'm excited to say that HP's turnaround continues on track," said Meg Whitman, chairman, president and chief executive officer at HP. "In FY14, we stabilized our revenue trajectory, strengthened our operations, showed strong financial discipline, and once again made innovation the cornerstone of our company." 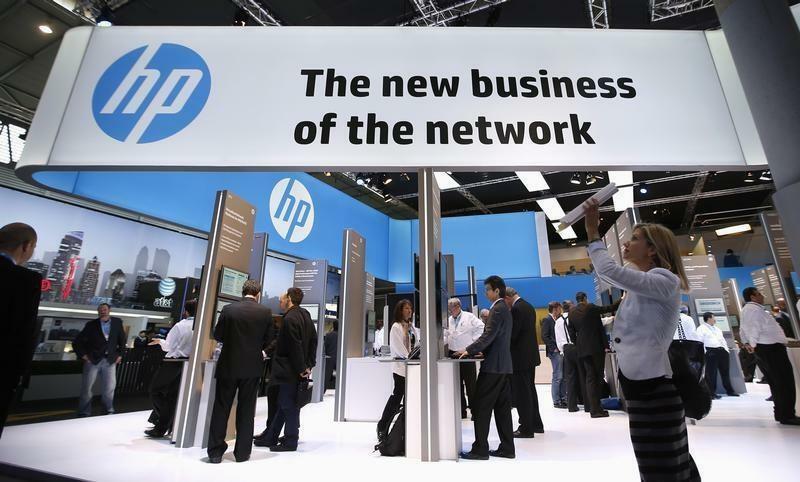 HP's printing division revenue stood at $5.74 billion, missing market estimates of $5.78 billion -- consumer printing revenue fell 4 percent, while commercial printing sales rose 5 percent. However, the company's personal computer division fared better than expected with revenue totaling $8.95 billion -- notebook sales increased 8 percent, while desktop revenue dropped 2 percent. Whitman also revealed that around 41,000 employees left the company during the current fiscal year, bringing the total number of employees down to 275,000. Looking forward, HP is expecting fiscal first-quarter earnings to fall somewhere between $0.89 and $0.93 per share, on an adjusted basis, while Wall Street is expecting it to fall between $0.85 and $1.03 per share.